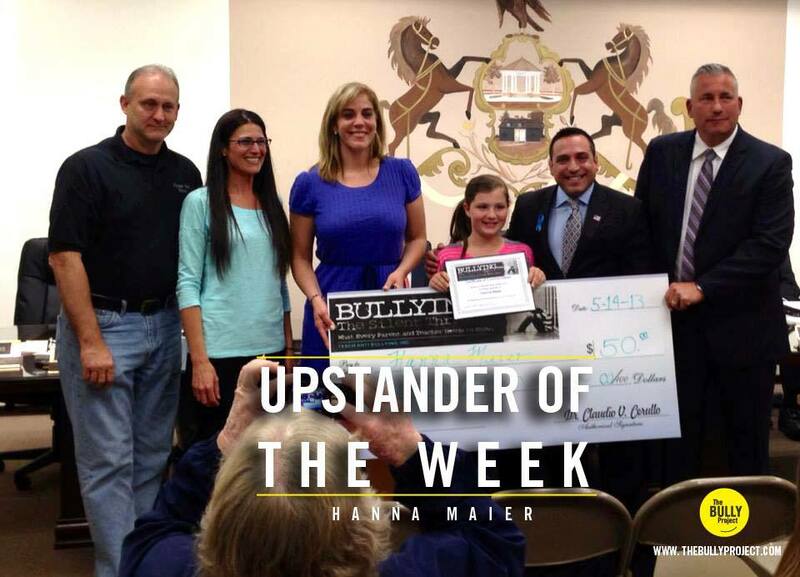 Tracy Maier attends an awards ceremony for daughter Hanna, as she receives the Upstander of the Week award from The Bully Project. 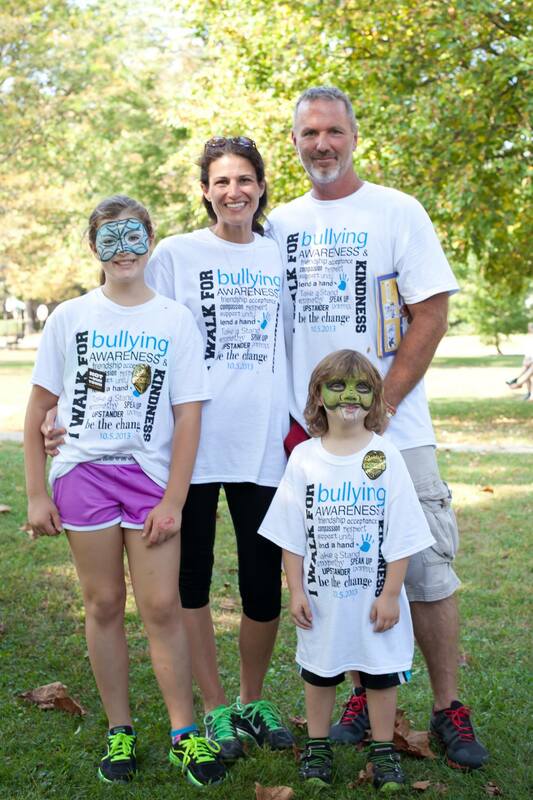 Tracy Maier is a Pennsylvania mom who moved into action after her child was bullied. She contacted Not In Our School to help not only her daughter, but all the children in her area who have been bullied and asked for help in getting things started in her community. Since that time, we have been in touch as both Tracy and her daughter Hanna have become leaders, taking risks, speaking with civic leaders, and organizing campaigns—all things that they never had done before. It is an example of how anyone can step up. Photos of Tracy and her daughter’s activities are featured in the Not In Our School Parent Guide. Tell us about your school community. Prospect Park is a small suburb on the outskirts of Philadelphia. We are a close, tight-knit community who are passionate about our children, their education and safety. Prospect Park School houses grades 1-8, the highest number of students in the district. We have a strong Home & School Association as well as many teachers and administrators who actively participate in activities in and outside of the school setting. What kind of work do you do in your community? Prior to helping my daughter with this grassroots movement, I honestly did not play much of a role in my community. I work two jobs, while raising my two beautiful children. I am a mother first, which is probably why I dove so hard into bullying awareness in my community and school. When did you become involved in anti-bullying work and why? Last year while watching Bully by Lee Hirsch, my then 10-year-old daughter Hanna opened up to me about what she was dealing with at school. Even though we have an amazing relationship, she hid this from me, out of shame and embarrassment. Looking back, the signs were there, I just dismissed them as adolescent behaviors. She wanted to make things in her school and community better, not just for her, but for everyone. A Community for Change was born. With the help from some amazing advocates, Hanna presented two resolutions to our Borough Council, which they passed in May 2013, making the Borough of Prospect Park a Compassionate Borough and a Bully Free Community, the first in Pennsylvania to do so. In October 2013 we held our First Annual Walk for Bullying Awareness & Kindness and we are currently planning for the second. We also recently won a contest held by the RFK Center Project Seatbelt, which will bring our school and district free programs and will also help with awareness programs for our community. How did you get involved with Not In Our Town? After contacting the Bully project for guidance, I was put in touch with Becki Cohn-Vargas. Becki has been instrumental in helping Hanna and I continue to help spread awareness. Honestly, a godsend. Honestly, it's Hanna I am most proud of. It took a lot of courage for her to be the first to stand up and speak out. She put herself out there never looking back. What do you see as the challenges to anti-bullying work in your town? Getting our School Board to grab the reigns has been a little difficult. They are moving in the right direction, just a little slower than we would like. Our principal is extremely proactive, with awareness and prevention. We are working closely with him which is wonderful. When I see or hear of a child standing up for someone. That gives me hope, that inspires me to continue on this journey with my daughter. What advice would you give to other school leaders who want to address bullying and intolerance in their town? Don't give up! Sometimes you may feel you are fighting this battle alone, but you are not. You are part of an amazing group of human beings who are also trying to make a positive change in the world. Join other educators and anti-bullying leaders at the Not In Our Town National Leadership Gathering in Billings, MT from Friday, June 20 to Sunday, June 22. Learn more and register here. Way to go, Hanna and Tracy! I had no idea you were involved in this. The Camp Family will be at the next walk!